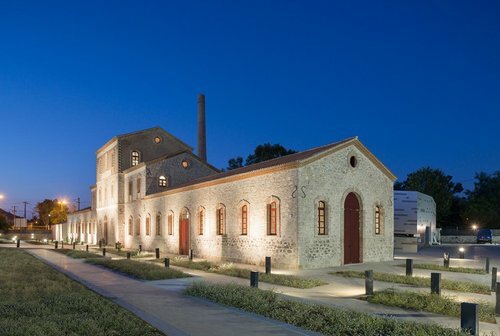 The New Archaeological - Diachronic Museum in the city of Chalkida has the listed building ‘Arethusa‘ repaired so as to restore its original form and simultaneously function as a modern museum. The shape of the land and the location of the existing building lead in to design the new building alongside the listed building. Because the two buildings must be connected essentially with two slightly sheltered areas, either side of the existing outbuildings southern side, connecting the different functions between them .Thus, the south face of the listed building is emerging as an exhibit from the inside of the band , enhancing the sense of timelessness exhibits . The building itself becomes an exhibit. At the same time, the south side of the building is protected and creates an environment in diffuse daylight for optimal bioclimatic behaviour. The building was designed to be environmentally sustainable and energy-conserving.